This document explains the process for the setup, configuration, and troubleshooting of a Televac EthernetIP device. In order to communicate with the unit, the EthernetIP device’s IP address will need to be configured to the same network as the PLC. 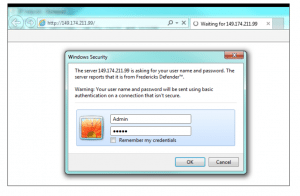 The following steps describe how to establish the initial connection, and what steps to follow should any issues arise. 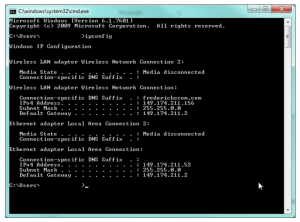 The first setup option assumes internet connectivity and makes use of an IP address configuration utility tool for the module. If an internet connection is not available, refer to the Setup and Troubleshooting Guide for Televac EthernetIP Option 2 (televac_an3018). 3.1.2 In order to configure the IP address of the unit to the network, the network address and subnet masks must be known. If this information is already available, skip to step 3.1.5 to use the IPConfig utility to set the module IP address. 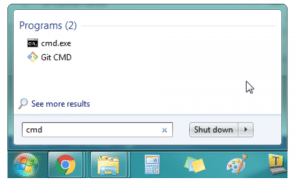 If not, open the cmd terminal from the Start Menu. 3.1.3 In the terminal, run the command “ipconfig” to see the network settings. 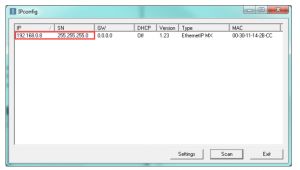 3.1.4 Find the “Ethernet adapter Local Area Connection”, and mark down the IPv4 Address and Subnet Mask. This will be the network to assign to the unit. In order to communicate on the network properly, a different IP address on the network that is not in use by any other device will be needed. IT help may be needed to verify at this step; if the unit IP address conflicts with any other device on the network the unit will not communicate. 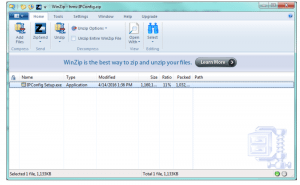 3.1.5 Run the IPConfig utility downloaded from HMS in step 2.1. 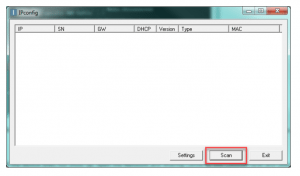 Once open, scan the network to find the device. 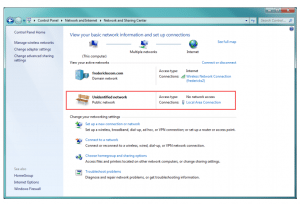 3.1.6 If the device does not show up, open the Network and Sharing Center in the Control Panel and verify that an Ethernet connection is being made. 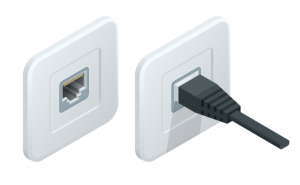 If there is no connection, check the cable and reinsert the Ethernet cable into the adapter on the computer. 3.1.7 In the IPConfig utility, select settings, and then check the box for Broadcasting from a Specific Network Interface Controller, and select the Ethernet controller. 3.1.8 You should now be able to see the device with the default IP address 192.168.0.8 and subnet mask 255.255.255.0. 3.1.9 Select this device to change the settings. In this example, the terminal revealed in step 3.1.4 that the network needed is 149.174.211.X with a subnet mask of 255.255.0.0. The device will be set to 149.174.211.99 with a subnet mask of 255.255.0.0. This example IP address was verified to not conflict with any other devices on the local network. Once changes to the settings are complete, select Set. Select Scan to refresh the list. 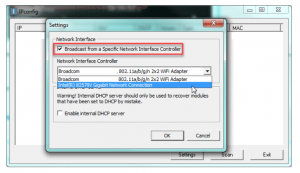 3.1.10 If DHCP is used, the IP address will be assigned automatically, but could be changed by the DHCP server. 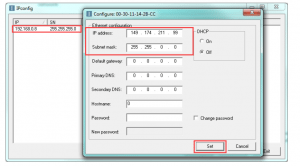 If a connection is made to a static IP address from a PLC to a device with a DHCP-assigned IP address, it will need to be verified and potentially modified before use.